“Each year, thousands of athletes brave the waters of the mighty Hudson River before biking along Manhattan’s West Side highway. Finally, athletes put on their running shoes for a run through New York’s famed Central Park in the final stage of this iconic race.” – description of the annual NYC Triathlon. This year, our very own Rei Lalo, Global Innovation Associate for McCann Worldgroup, participated in the highly competitive race and won in his age category. This was Rei’s first time competing in the States, after having participated in similar events in his native Israel before he moved to New York. 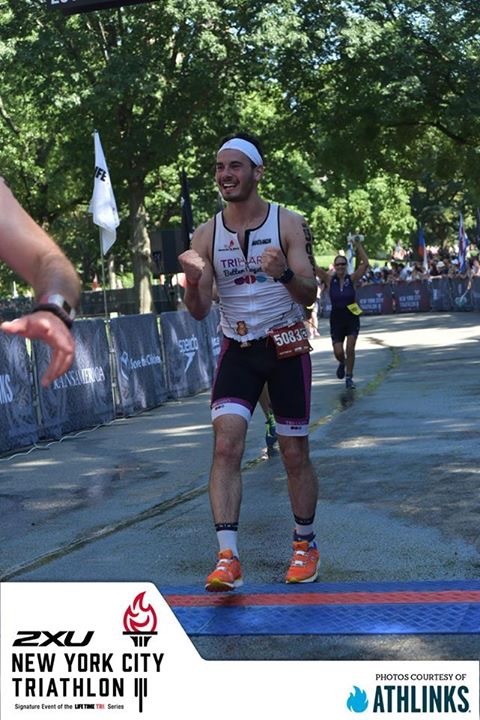 In Israel, Rei was considered semi-professional, and his recent win at the NYC triathlon qualified him for the USA championship next year. Part II – a 25-mile bike ride on the Upper West Side to the Bronx and back. He completed the biking portion neck and neck with another competitor after biking at a pace of 24 miles per hour. Part III – a 6.25 mile run through Central Park. After 2.5 miles, Rei began to outrun the other competitor and completed the running portion in about 44 minutes. Rei spent 4 months training, and his hard work paid off. Overall, he completed the triathlon in 2 hours and 15 minutes, coming in first in his age category of 18-24 against 55 other competitors. After his win, Rei posted some pictures on social media, and started getting requests to start a running group. He now has a group of about 50 members that meet twice a week in Central Park, with goals to expand once he’s had a chance to create a more structured program. Congratulations, Rei! You are an inspiration!